I wanted to start this post by saying that that day was a long day. But come to think of it, they all were. Long. And beautiful. I don’t know if it is a period or maybe the age but I find myself looking more and more for landscapes. For beautiful tall mountains, for never ending seas, for small creeks or high waterfalls. I find myself looking for strange rock formations and empty beaches. 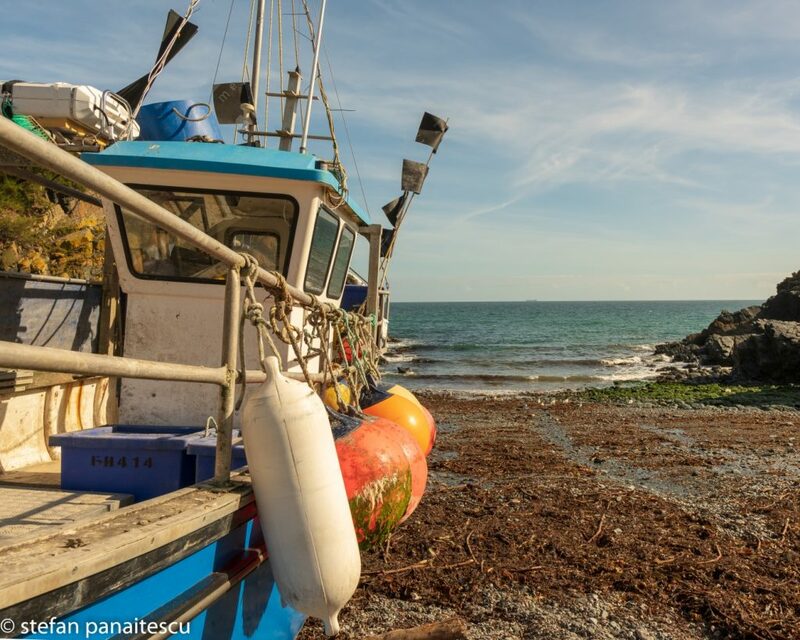 I find myself looking for small, narrow streets, forgotten bays and old fishing villages. And Cornwall has almost all of these. Early morning I drove from St Ives to Morazion where I parked close to the thing I wanted to see so badly. While Mont-Saint-Michel is famous in France and a major tourist attraction, this place is yet unknown to many people visiting England. And it is a shame because it is a beautiful location. The small island can be visited on a schedule taking in consideration the tide hours and in my opinion this is a must see place in Cornwall. The small, cobbled road leading to the island, the water moving in and starting to take back its territory, a beautiful sunset and a sky full of clouds made for one on the most beautiful sights from my trip. I visited this place twice. Once in the early morning, watching the boats cruise from the island to the land and the next day at sunset watching the tide come in. From St Michael’s mount I drove to Mullion Harbor and paid for the parking lot 500 meters away from the harbor. While in Morazion I paid 5 pounds here you can simply put money in a box, according to your heart’s will. While many people would skip placing money I didn’t. It’s the least I can do for the beautiful sights I witnessed and the warm people I met on my trip. A few painters watching the harbor between working on their drawings, a golden retriever running on the small beach and not another soul in sight. And I urge you to visit this place and let yourself enjoy it. Getting inside my little Clio I fought a bit looking for GPS signal so I could set the route to my next stop. It may seem that I’m skipping thru destinations but that is for a good reason. While my pictures are decent I have no illusion that they can express all the feelings I had visiting each one of these beautiful places. As far as writing goes I chose not to describe everything in detail because this would be a waste of my time and especially yours. No matter how talented a writer/photographer is, he can’t prepare you for those special moments. Moments like walking inside the Colosseum in Rome, like climbing the Top of the Rock in New York, lime watching the traffic in amazing Bangkok, like facing the pyramids. So I chose to write less and let you discover these beautiful places on your own or remember them as you browse thru my articles. Cornwall is extremely photogenic. As a matter of fact it is a photographer’s dream. So if you enjoy taking pictures I assure you that all the places visited on this trip look amazing during the day but also during the evening. My biggest regret is the fact that I don’t have time to photograph all these amazing places I see on my trips two times: once during the day and the second time during the evening/at night. 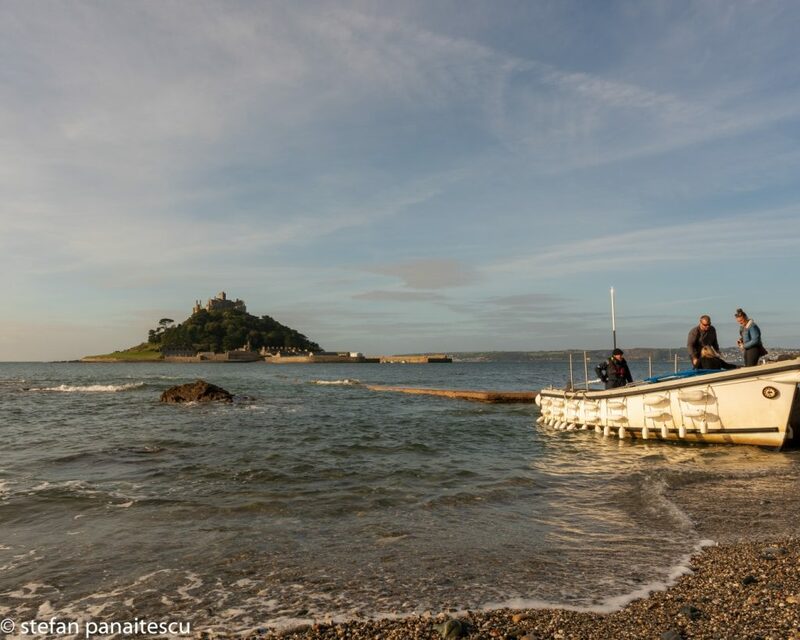 But I assure you that catching a sunset at St Michael’s mount or Kynance cove or any other location from my itinerary will make for amazing pictures. The parking at Kynance Cove costed me 5 pounds and before moving forward I must stress upon one thing. All the parking prices on my trip had been for 2-4 hours and that is the price for that period of time. I can remember of only one exception, Cadgwith, when the sum paid for the parking covered the entire day. Also as a very important information: all parking in England (at least on my trip) is on a pay and display basis. So take good care and place that ticket in your window after paying for it so you don’t have a surprise when you return to the car. 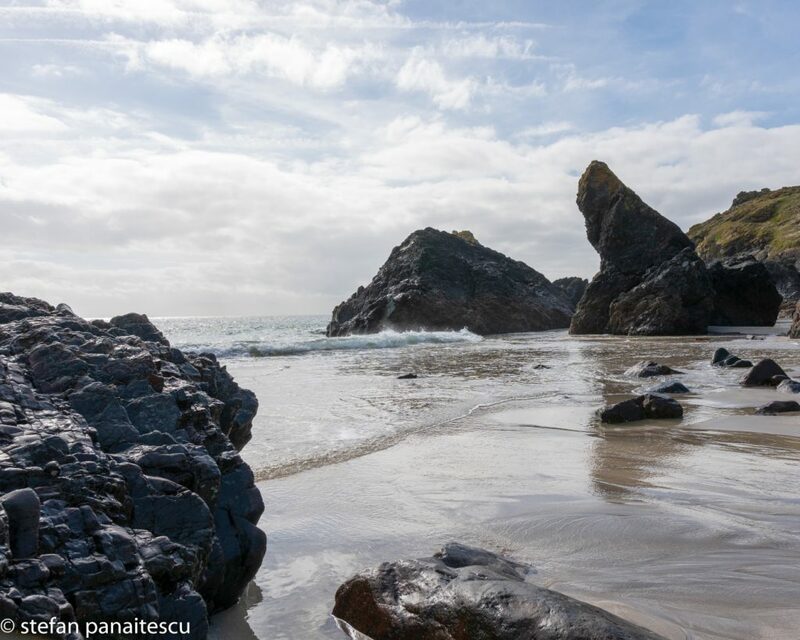 Kynance Cove is the kind of place where you just unwind. Take off your shoes and socks and walk on the beach feeling the sand and water. It’s the kind of place where you sit down and just look around admiring this special place. And it’s the kind of places that leaves a big smile on your face. Could be the sea, could be the sand, could be the rock formations or just the wind but you’ll feel better. After getting my shoes a bit wet on Kynance Cove I just stood there for about half an hour, letting my gear dry then head slowly up the hill towards the parking lot and my next stop. This is without a doubt the most southerly point in the United Kingdom. And it is a beautiful place. 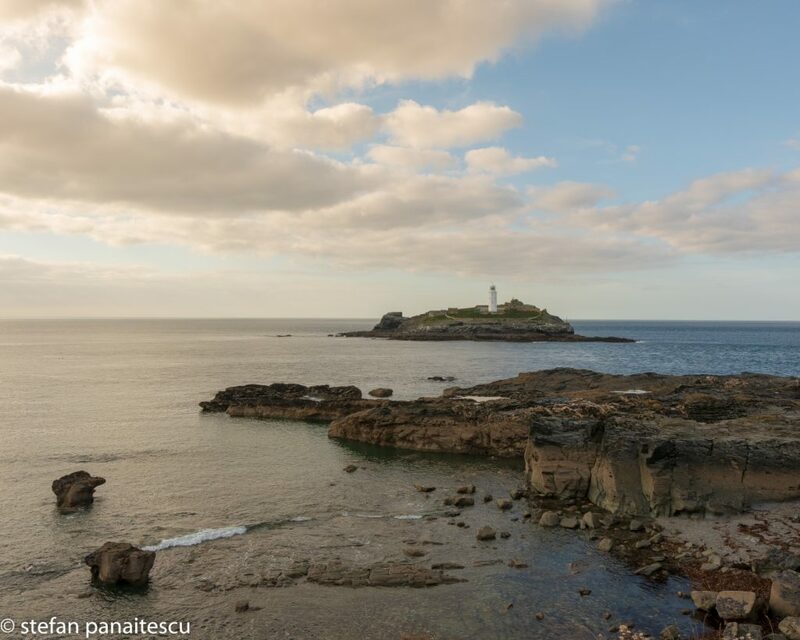 It doesn’t matter if you want to just sit at UK’s most southerly café (review coming up later), walk the famous path, look out for animals and birds (you can take tours from there to see them), visit the lighthouse, there are plenty of things to do. 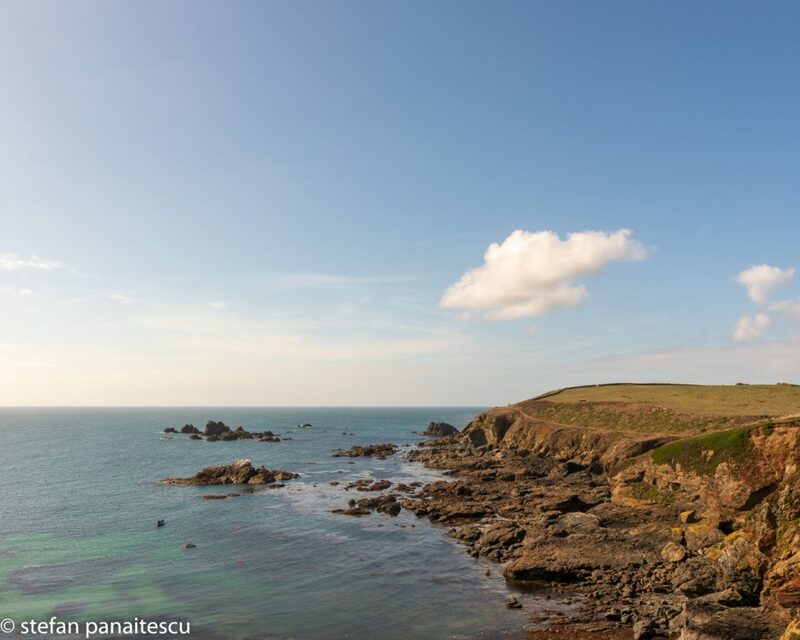 As a matter of fact you can check this site for a full list of activities you can do at Lizard Point. After driving on a small road that barely fitted my Clio (small tip: don’t rent big cars in the UK. Stay with small vehicles and you will be happier) I let my car in the special parking lot (think it was 3.5 pounds for two hours) and started walking towards the Lizard. 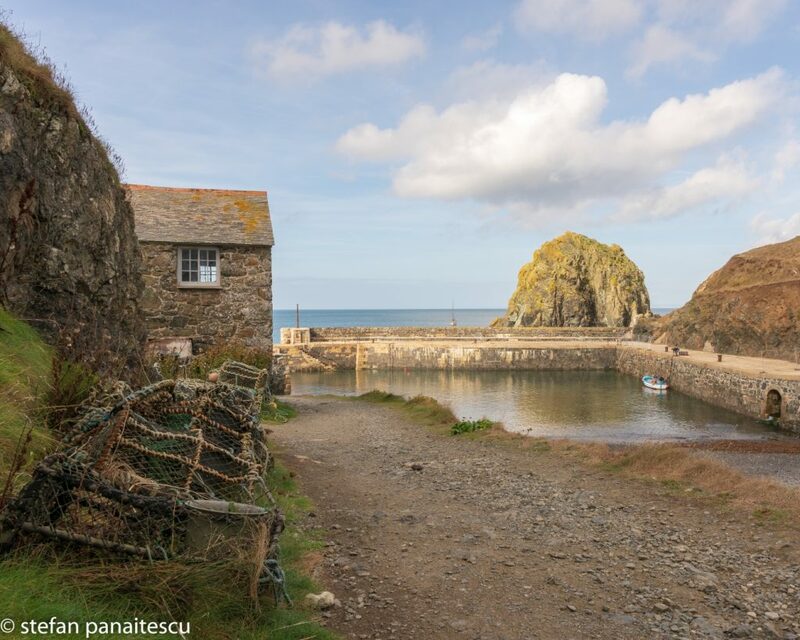 Many people walk the path between Kynance Cove and Lizard Point or even from Mullion Harbor to Kynance Cove but since I was pressed on time I chose to drive between locations and enjoy as much time as I can in those spots. Now, if you have enough time, go for walking. You’ll always have the cliffs and the sea on one side and beautiful green grass on the other side so the scenery will keep you smiling during the whole trip. Before writing about my next stop I must point out a small aspect. Many of the places I visited in Cornwall are small, really small. You could see Mullion Harbor in 5 minutes for example but I chose to spend at least 30 minutes there. 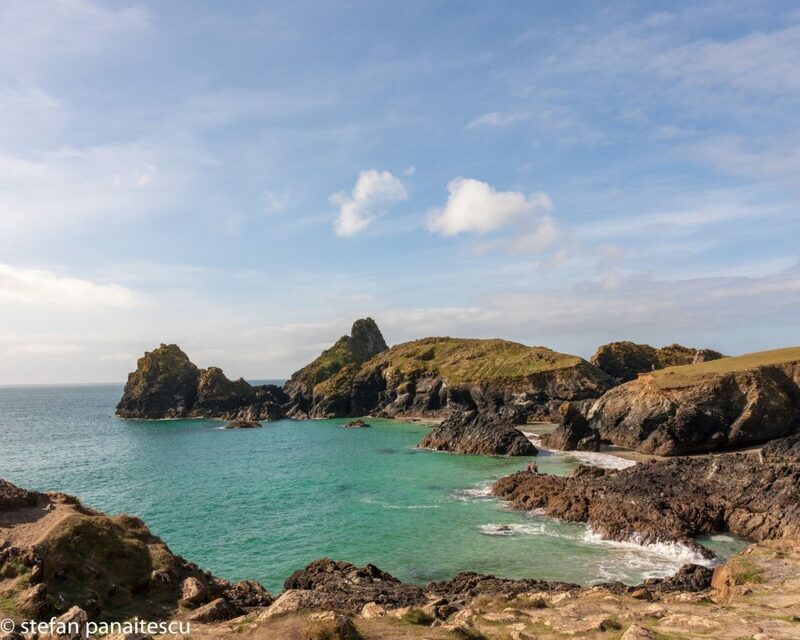 You can visit Kynance Cove for 15-30 minutes but I stayed for more than one hour and so on. And that is because time moves differently there. It is ok to rush from one location to the next but once you reach a place you can unwind, relax and take it in. I could have visited quite a few extra spots if I wanted to rush more, to spend less at each location but from a point it is not worth it. My main drive to visit new places is curiosity and the desire to take pictures. I love seeing new places, see new people, eat new dishes or drink local beers or wines. And I do love taking pictures. And while many people try to take photos from as many angles as possible, try to drive to as many locations as possible, etc. I just love seeing it with my eyes. Yes, I will spend some time taking pictures but first I will always enjoy the scene. And I won’t look at it like a photographer but as a tourist. I won’t search for the best angle or the best light but just enjoy what I see before my eyes. Then it’s game on and I will try to make the best out of each place. Back to the route now and the next stop was Cadgwith. Here you can leave your car in the parking lot for 2 pounds the entire day. You will take a small path that leads to the village and when you’re there you will just love it. Small, very small with a small harbor and bay, a few ships lazily sitting on the beach, sun coming on them, people moving slowly between little shops or enjoying a drink in the bars all these make Cadgwith a lovely place to spend an hour or two in. At this point I must make a small confession. Due to the fact that I upload pictures on my Instagram account and due to the fact that I am lazy I won’t be editing the same picture twice, once for Instagram and once for the blog. I will use the same format from now on because all that thinking, cutting, trying to fit the best picture in the available space takes more time than you can believe and if it’s one thing I don’t have, that thing is time. From Cadgwith I drove to Godrevy and I must confess that I think this is one of the best places to end a day in Cornwall. You have a gigantic beach that is full of surfers, you have a great lighthouse that makes for fabulous pictures and the parking is only about 3.5 pounds for two hours. Small note here. I will check the parking tickets at the end of the article, before uploading it but now I’m just writing from my memories. Godrevy, the beach and the lighthouse, was for me the final stop of the day and I loved it. Driving on the other side of the road, even if it appears simple after a while, still keeps you alert in a different way and once you’re out of the car you’re just happy that the day ended well. If I had my first encounter with surfers on Mawgan Porth it was at Godrevy that I understood how much the locals love to surf. There were tens of people in the water, all surfing, all enjoying the waves, even though it was the end of September and the water was not exactly warm. With all these being said that is how my first full day in Cornwall unraveled. My next pot will be a bit different and it will focus on two things. One is the places I saw during that day and second on the first photo tour I took in my life with a professional photographer from Cornwall.